with our already well-proven lineages. male only had 1 cria in 2014�. Well that soon changed!North Star�s progeny are carrying excellent length and extreme brightness; he has been a very busy boy at Bozedown! 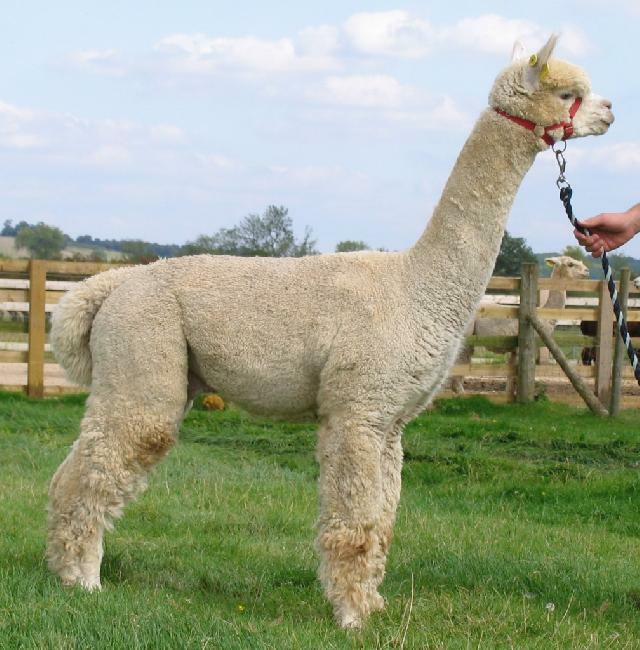 North Star�s son Bozedown Headliner was placed 1st Intermediate White Male at the HoE Alpaca Fiesta in 2017 and 2nd Adult white male at the 2018 BAS National Show.